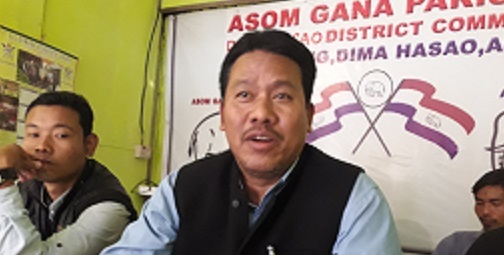 President of All Apex Body Coordination Committee Kalyan Daulagupu warned of serious consequences if the government forcibly includes Dima Hasao in the proposed Nagalim. He threatened to launch vigorous movement if the government goes ahead with such a move. Speaking in same vein All Dimasa Students’ Union president Uttam Langthasa told NE NOW that people of the district would resist such move by the government. It may be mentioned that the simmering tension prevails in this hilly district of Assam over the Nagalim issue. 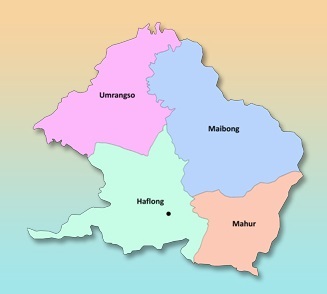 People of the district are apprehensive that many villages of the district will be incorporated in the proposed Nagalim. On November 21, people took to the streets of Haflong, Maibang and Diyungbra protesting inclusion of Dima Hasao territory in the Nagalim. Several organisations of the district are contemplating to stage protest in Dispur and Delhi on this issue.